Usually my aversion to cooking anything doesn’t hit me so early in the season. It just gets too dang hot to even contemplate turning on the stove and lately its even too hot to stand outside in front of a hot grill. But I’m oh so grateful to have one! I’m not sure if I ever mentioned that I used to have a tiny hibatchi that constituted as my grill. It’s SO sad, but so true. I guess at that time John didn’t understand the glory of the grill and I had some convincing to do. Thank the maker I succeeded AND that he got me a top of the line, cast iron, destruction proof wonder that’s going on ten. 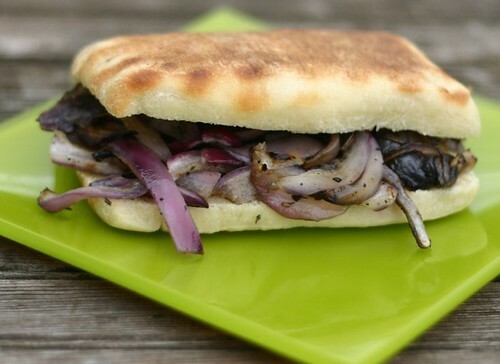 Sounds rather strange – an Onion Sandwich – doesn’t it? Well it is if you don’t like onions. Not so strange if you’re as crazy about them as I am. Grill over medium-high heat on a perforated grill topper or cast iron skillet until well browned. 1 1/4 Cups Warm Water – may need more or less depending on humidity. Continue to mix on low-speed until the dough comes together. Switch to a dough hook and knead on medium speed for 5 minutes, until dough is smooth and elastic. Place in large floured bowl, cover with damp cloth, and let rise for 45 min. to an hour until doubled in size. 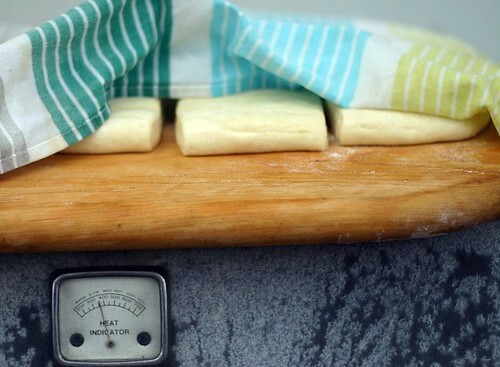 Roll out dough into a rectangle 6″x12″ and cut into roughly 3″ squares. Place on floured baking sheet, cover and let rise again until nearly doubled in size. Heat a cast iron skillet over medium-low heat on the grill and cook until puffed and brown on the bottom, about 5 minutes. Flip and brown on the other side. Slice open and serve filled with grilled onions. Wow… the pan bread looks so amazing! The recipe and technique are so incredibly clever! I have to try this wonderful bread. I am going to have to copy this 🙂 Yummy! I can’t believe you posted this! I was just looking at this recipe last night. No joke. Flipping through “Seven Fires.” I wasn’t sure about making the bread, but you’ve convinced me. Looks great! This I’ll have to try! Ohhh I like the idea of pan bread–sometimes I want fresh bread but have no desire to turn on the oven. Saving this for one of those days. Thanks! Oh, the bread looks amazing! Fantastic photos! LOVE the pan bread!!! But oh my, and onion sandwich?!?! Thank you Lord!!! I love onions…this looks phenomenal. 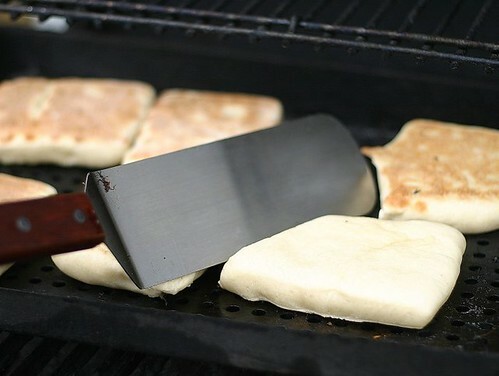 I also love the idea of grilling bread. Always a winner. Thanks so much for sharing the recipe. This looks so good. I have to have some! I am the griller in this house. We have an older Weber grill – I have a chimney starter and I go out about 5-10 times per summer (too much work to do it every day) to the grill and cook. I love to cook unusual things on the grill too so this fits the bill. Thanks for the inspiration. 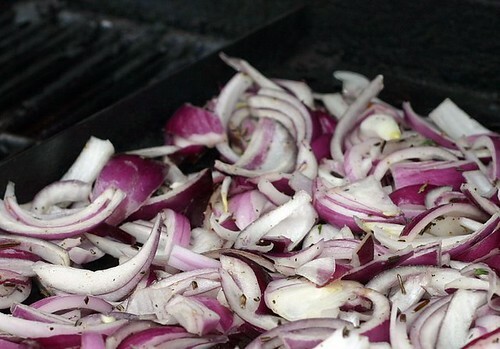 Wow- Never crossed my mind to make an onion sandwich! Thanks for the recipe!